Every home tells a story. What’s yours? You’re thinking about remodeling your kitchen. Or redesigning your bathroom. Or renovating your basement. You may have some idea of what you want, but you’re not exactly sure where to start. We are here to help! Our time-tested process guides you to a gorgeous new room. We want to get to know you. Give us a call (301-852-3333), or fill out this easy contact form. 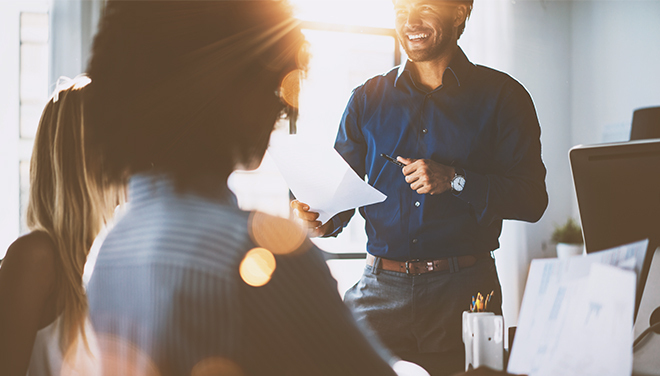 We can talk through your ideas and goals. Then, we schedule an in-person appointment. In the meantime, you can try our Virtual Design Studio. 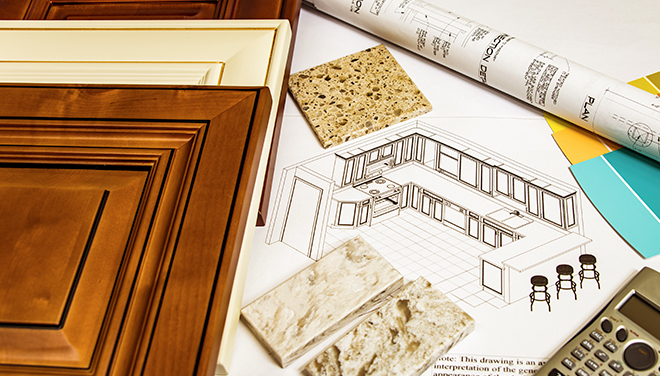 This online tool shows you different materials and designs to inspire your remodeling project. We schedule a meeting in your home to learn more about you and your remodeling wish list. 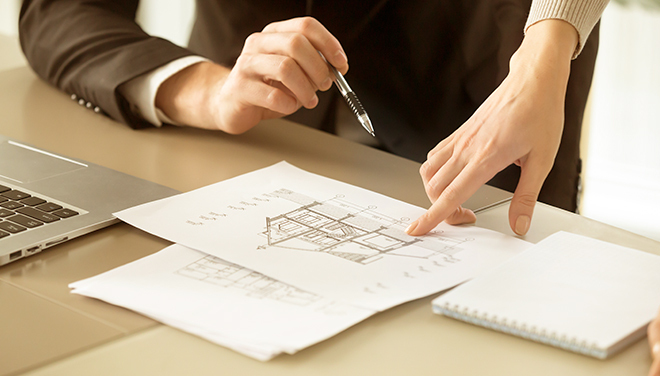 Your personal project manager will show you material samples. 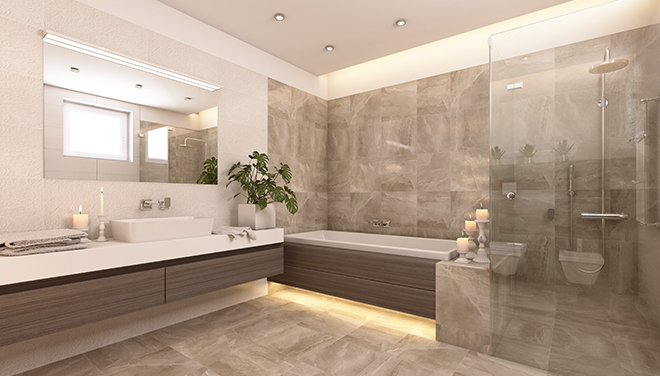 Our experienced team will also evaluate your kitchen, bathroom or basement. We measure its dimensions and document any important electrical, plumbing or structural features. Based on our conversations, we will send you options for materials along with estimated budgets. We will also show you examples of our past remodeling work, to help you make an informed decision for your home. If you decide that we’re the right company for you, we take the next step together to truly begin your renovation. Our designers create three options for your remodeled room. Each design has a budget tailored to the materials and construction required. You can select one of the three designs, or we can mix and match options for a completely customized project. After exploring your options, you make your final sections, and we can get to work! At this point, we start the heavy lifting. 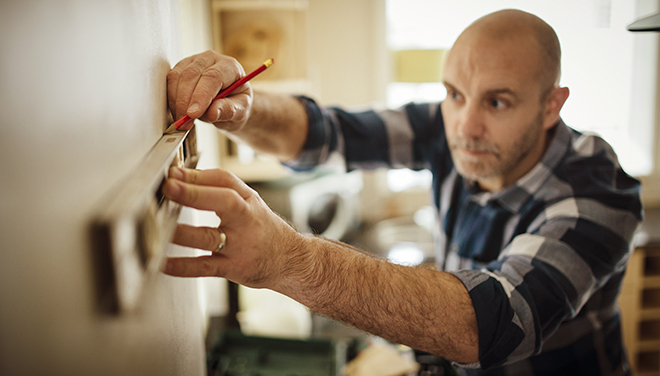 Our licensed electrician and plumber ensure your remodel will last for years to come. 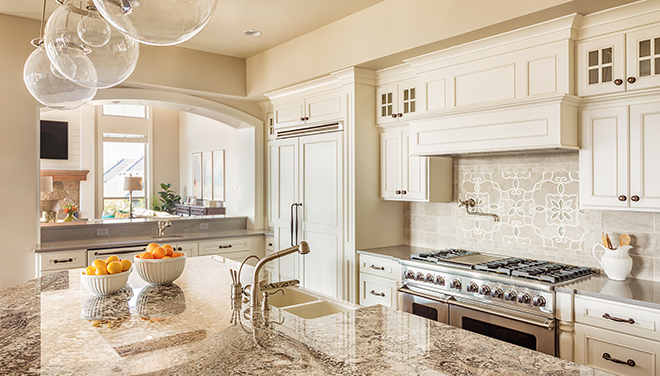 Kitchen Master’s seasoned construction crew works quickly, so you can enjoy your remodeled room in no time. Your new room is ready. All that’s left for you to do is enjoy! Step onto your heated floors. Start up your extra-spacious oven. Sit back and unwind with your family. Your satisfaction is our number one priority. That’s why we offer quality services, and our rooms are built to last. Our 5-year warranty means we stand by our work. If there is an unexpected issue with your remodeled room, we will do everything we can to make it right. Everyone will love your redesigned kitchen, bathroom or basement. We can’t wait to bring your dream room to life! Take the first step and get in touch with us today!